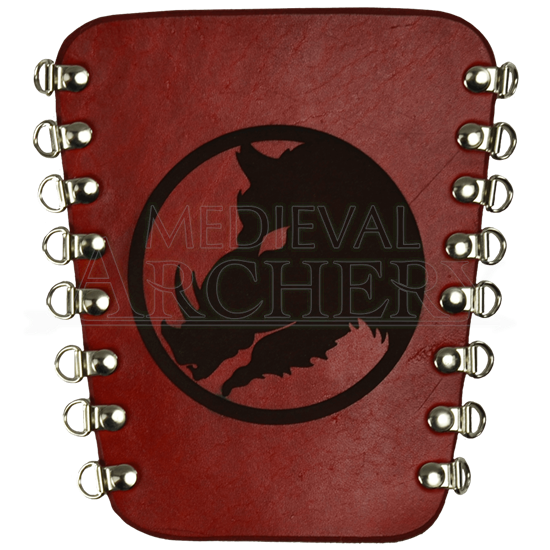 Our Boars Head Archers Arm Guard is perfect for traditional archers looking to stay period dressed, especially if you like hunting wild boars! Our arm guards are hand made from quality 7/8 ounce leather and provide just the protection you need on the inside of your arm when shooting your longbow or recurve. The bracer laces up with steel or brass speed lacers for a perfect fit. This bracer is sold individually, not as a pair.